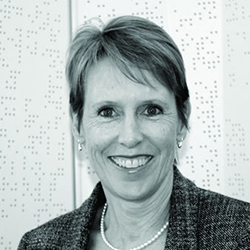 Debra Kwasnicki is a Director of The Hunger Project Australia. Debra is also a Partner at Sheldon Harris Consulting. With 15 years’ experience in Executive Search and Assessment she was a partner at Russell Reynolds Associates, and served as an independent management consultant in the technology industry. Prior to her consulting career, Debra was General Manager, Customer Service and Quality, with Telstra Corporation and had a 12-year career with IBM Australia Limited, where she served in a variety of sales, management, technical support and human resources roles. She was also Chair of the Human Resources Subcommittee for the Salvation Army Advisory Board. Debra took a sabbatical in 2012, living and working in Malawi and volunteering for The Hunger Project in Africa where she assisted the organisation to improve their operational effectiveness in working towards their goal of ending hunger and poverty.